Never have I felt such responsibility or torment over making a simple mark on paper. This was a fascinating thing to watch, and I (as so many others) particularly enjoyed hearing about how involved so many of the youngsters got. In the end, I am just grateful that we live in a place and time where these questions are posed on ballots and not bullets. I hope it turned out the way you wanted it to. 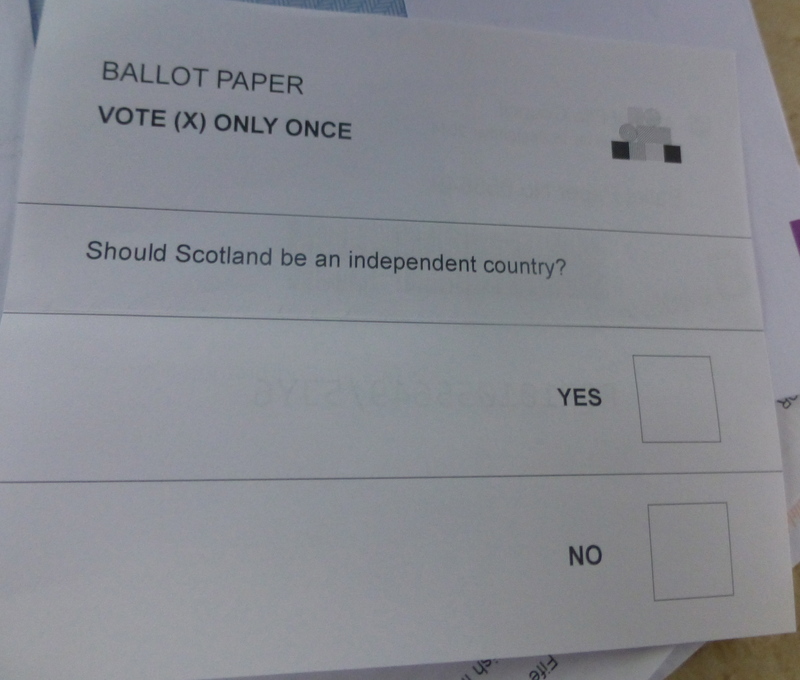 It was a tough one but in the end my sons’ passion and persuasion convinced me we should take a chance so I voted for independence. We all wait with bated breath…. May Scotland and her people thrive in whatever the new reality is for the country. It’s going to take time to discover what that’s going to be, Scott. Nothing is settled yet. Hope you’re well.